The People’s Bead winner for 2017, designed by Lily Sun, is available for pre-order starting today and I thought I’d show you what it looks like in real life. Here’s a little video. I like the texture on the wings and how it looks with the new Star Bangle, coming out Sept. 15. Lastly, here is Dancing Dragons with two Pearls and two Neverending beads. As you can see, it’s a very small bead, but that is reflected in the price of $31 USD/$41 CAD. The two toned version with 18k gold is $345 USD/$449. Click on the affiliate banner below to place a pre-order if you’d like. What do you think of it? Tomorrow, tune in for a short story called The Adventure of the True Beadz Polar Bear! Hi Martha. As I mentioned to you yesterday this was my favorite and I am so happy it won. Neverending is the bead I was thinking would go with it, so I’m glad you show that one. And the pearls are perfect. 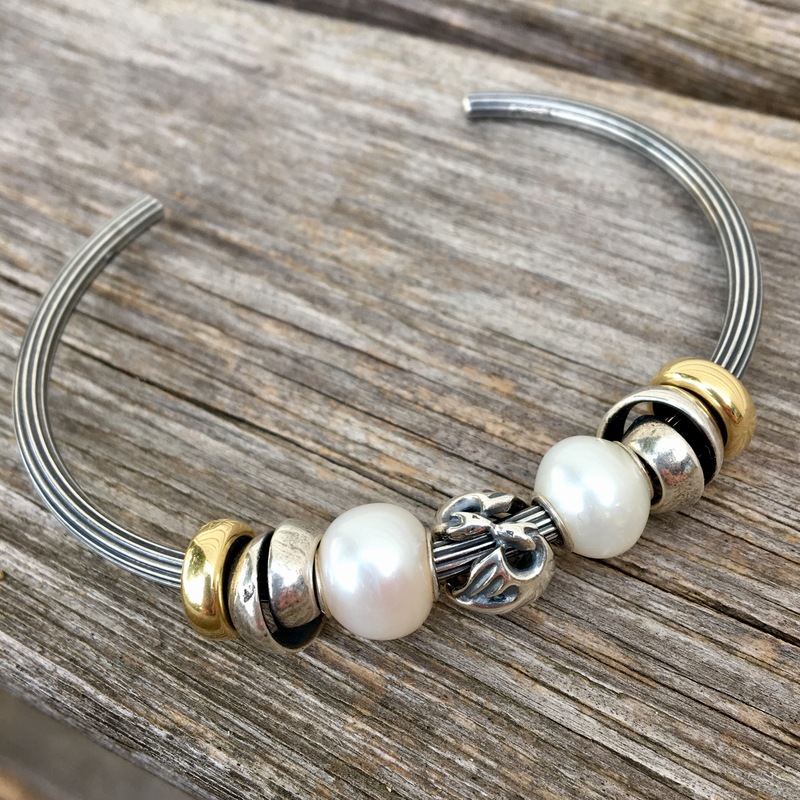 I love the silver version but then I think to myself ” What if I could get the two-tone”….That would have to mean NO BEAD PURCHASES for a while. Seriously! Hi Suzanne! How funny we were both thinking of Neverending! Yes, the two tone would be amazing but there are just so many beads on ‘the list’, right? With the autumn collection coming up and Julia’s lovely beads, what are your current priorities? That’s the problem! Julia has the Polar Bear coming up and I don’t have any True Treasures. Those would be my priorities since they are very limited. I wish you much luck! There are way more this time so it shouldn’t be a problem. Fingers crossed! I don’t watch GoT but do like the idea of the two dragons with this bead. I saw somewhere (can’t remember where) someone who had a bracelet of like twenty of them. It looked amazing! Hello, I love this bead. Would it fit on a Pandora bracelet? What do you think. Kind regards! No, sorry! 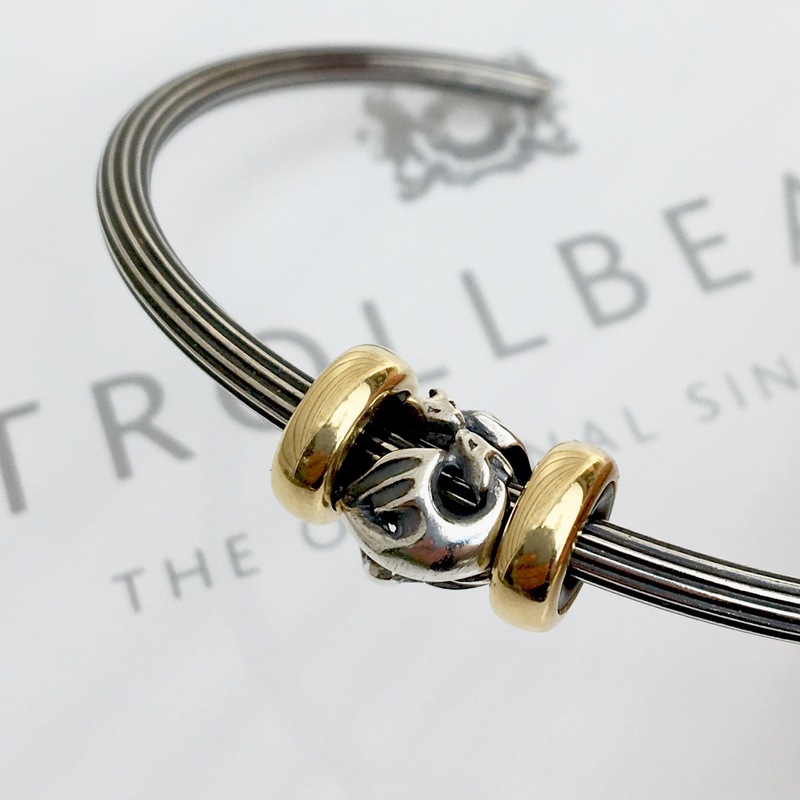 Trollbeads in general do not fit on Pandora. I will try when I get home and change my answer if it does!